There won’t ever be a time your PC’s bits aren’t squeezed for all of their juice – a new console generation and the VRAM apocalypse will see to that. But it’s going to be harder to find that quintessential benchmark game. Crytek are happy with the work they’ve done for the imminent PC release of Ryse, but they know they’ll never again make jaws drop like they did with Crysis. Nicolas Schulz, Crytek Frankfurt’s lead rendering engineer, told DSO Gaming that the quantum leaps in graphical fidelity we saw in the ‘90s and ‘00s are now incredibly difficult to follow. 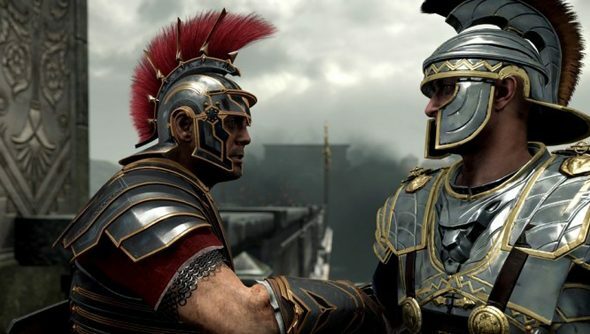 “I think with its advances in material quality, lighting and the quality of facial animations, [the PC version of] Ryse is extending the boundaries of realtime graphics quite a bit again,” he said. Industry shift or no, however, Crytek will push on. “There’s still enough areas to explore and we will definitely keep pushing the boundaries as much as possible,” said Schulz. Ryse: Son of Rome will step onto Steam this Friday, October 10, with all of its console DLC attached. The PC version can reach 4K resolutions, and comes with improved shading quality, animations and object detail. I’ve been wowed pretty recently by the scanned scenery inThe Vanishing of Ethan Carter. Let’s paraphrase the classic question, though, for old times’ sake: can you run Ryse?